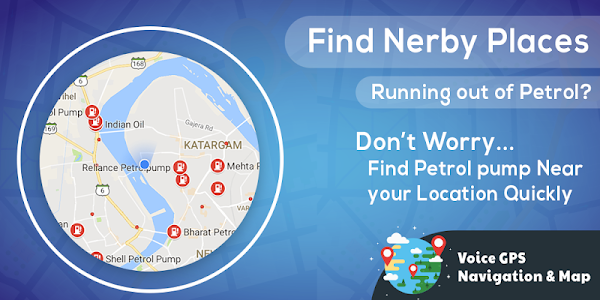 - Near by : get near by school, parks, hospital, restaurant, banks, atm, gas stations, shopping malls, railway stations etc. - Current location: get your current location in text form and share it with your friends . 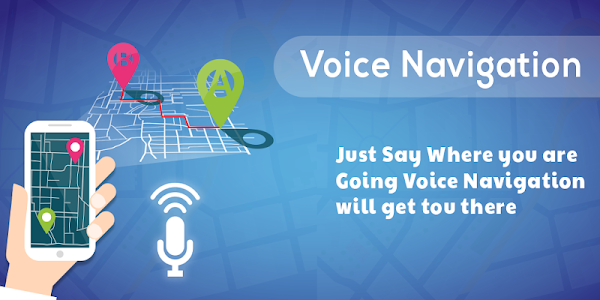 - Speak to search between 2 places, route, Map and navigation. - Search is integrated between current location to destination location by default. You can replace the current location with other location too. - Easy and quick to search. - Detailed features of Near By search with real user ratings and comments. 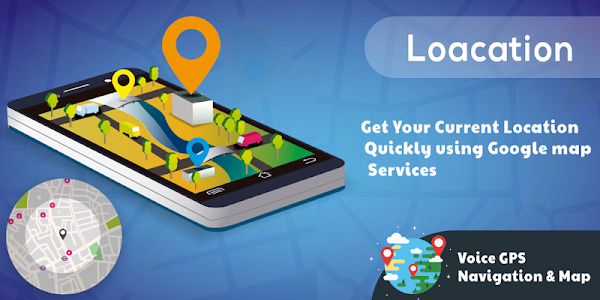 - Get navigation between 2 destination by setting destinations with in the app in Route Finder. Get shortest and best route with route finder. Just speak out California and you'll instantly get the location and navigation from your current location to California. 1) New and better features for Near By search. 2) Get navigation between 2 destination with shortest route finder. 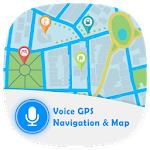 Similar to "Voice GPS Navigation & Map"